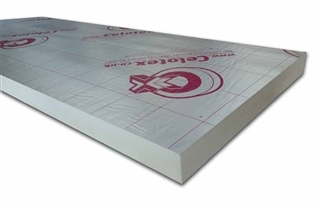 Celotex CW4050 is an insulation board which is a perfect solution for thermal insulation for all partial fill cavity walls. It comes in convenient size boards making installation hassle-free while benefiting from long-term energy saving properties. It comprises of a polyisocyanurate (PIR) rigid foam core finished with low emissivity aluminium foil facing sheets and is manufactured with agents that have zero ozone depletion potential (ODP) and zero global warming potential (GWP).